This entry was posted in American Literature and tagged Denis Johnson, Jesus' Son, The Laughing Monsters, The Name of the World, Train Dreams, Tree of Smoke by Simon Lavery. Bookmark the permalink. Thanks for noting his passing. I’ve only actually read one of his books, but I absolutely loved it, thought it hasn’t seemed to get much of a mention this week – “Already Dead”. I think I thought this was so good that I was kind of scared to read any more of his work in case it didn’t live up to this. 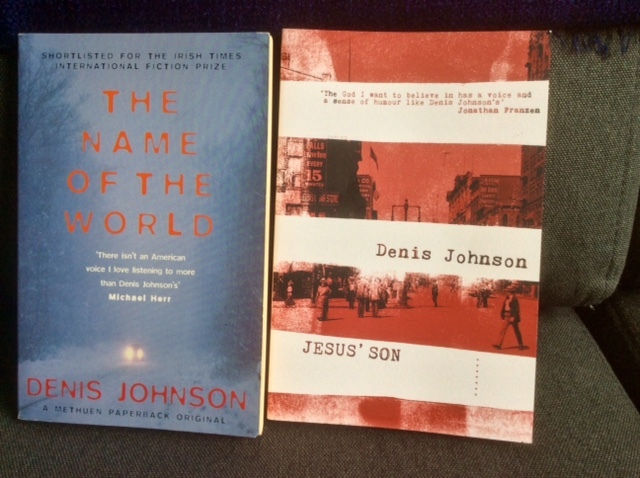 I’d recommend these titles in the post – with the caveats I mention. Sad news indeed. Like Kaggsy, I’ve only read one of his books — Train Dreams in my case — but I liked it a lot. What impressed me most was the way it seemed to capture the life of a man in so few pages. The style was very economical, but it seemed to convey so much. Good summary, Jacqui. He seems not so well known here in the U.K.
What did you make of Name and Laughing out of interest? I’ve read neither. Name of the World I read so long ago I barely remember it, I’m afraid, which is maybe not a good sign. 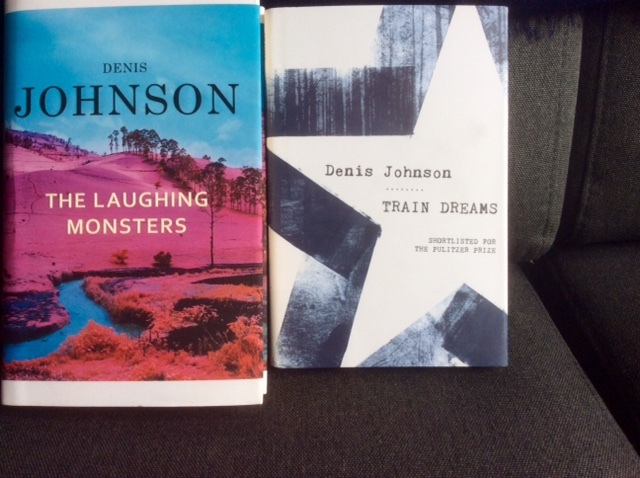 Laughing Monsters, well, it was like Graham Greene after a spiked drink – quite compelling in its own way. Not in the same league, to my mind, as Train Dreams or the short stories. Tree of Smoke, too, was an oddity: way too long, but excellent in parts. It’s probably facile to suggest he was best at the short form. Never dull, though.